As many of you will now know I recently travelled to Melbourne to style the norsu interiors 2016 collection campaign. Working with inspiring norsu founders Nat Wheeler and Kristy Sadlier alongside renowned Australian photographer Lisa Cohen was such an incredible honour. Definitely my biggest career highlight to date, I am beyond excited to be sharing the images with you today! 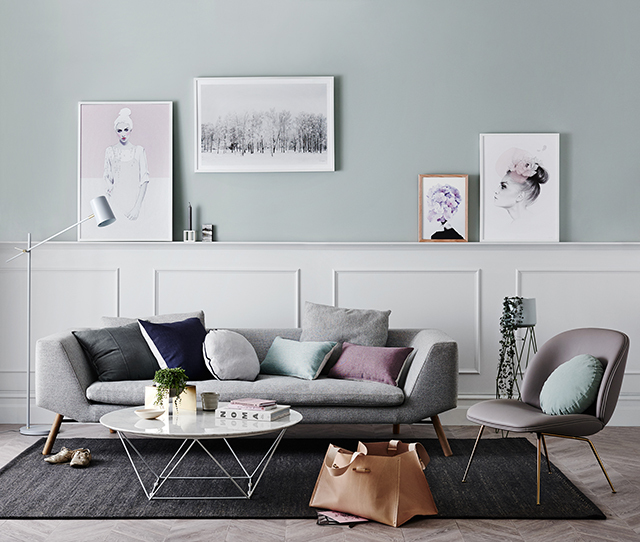 Presenting an array of of interior living spaces in norsu's signature pastel colour palette, the images showcase the boutique's carefully curated collection of Nordic homewares and diverse range of art prints. The collection also features several images shot in a Scandinavian ‘boho luxe’ style, reflecting a new direction norsu is taking since announcing their partnership with iconic Swedish design-house Love Warriors of Sweden earlier this year. 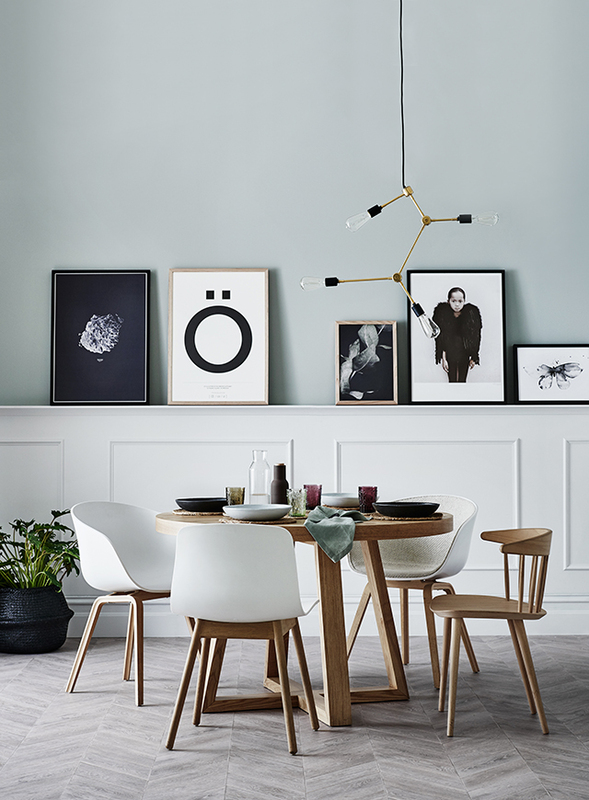 Adding yet another layer to norsu's already comprehensive offering of Scandinavian goods, Nat says (and I couldn't agree more) "We love that the term 'Scandi' - in the interiors sense - has so many different interpretations." With a product range that is constantly growing and evolving, norsu are able to provide customers with a unique offering across multiple styles. 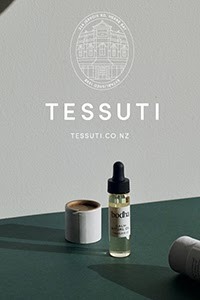 Featuring an extensive mix of local and imported product, the images welcome many new and exclusive Nordic brands to the norsu collection. 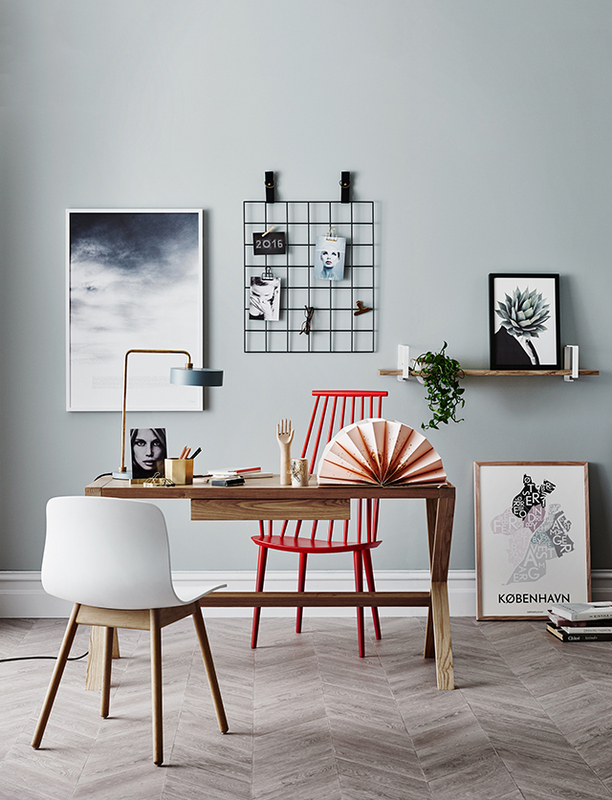 These include HK Living, Martin Moore, Studio Joop, Boomini, Kortkartellet, Vita Copenhagen and Lindholdt, teamed with local brands Globe West, Armadillo & Co, Incy Interiors, CULTIVER, Olli Ella, Raw Luxe Interiors, Byron Bay Hanging Chairs, Batch Ceramics, Evie and Woollen Collective. 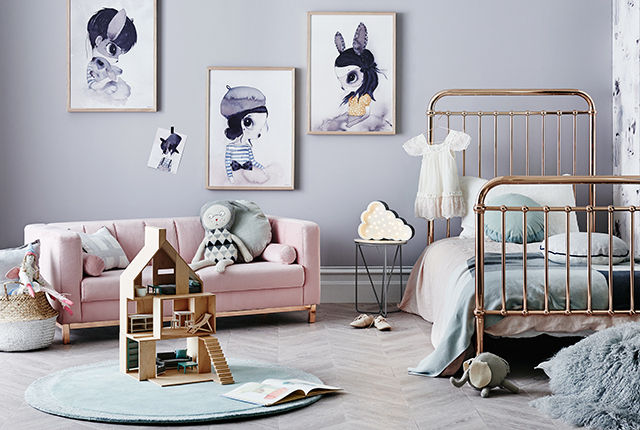 The opportunity to style such a beautiful range of products certainly made this a dream job for all involved, but we also sought to deliver achievable looks. For everyday decorators, this means you can replicate these spaces within your own home. I'm sure I've said it before but I often wonder whether Kristy and Nat actually sleep, because in true norsu style they have more exciting news around the corner. 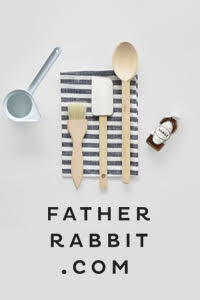 The release of this collection coincides with the opening of their second Melbourne retail store in Hawthorn next month! 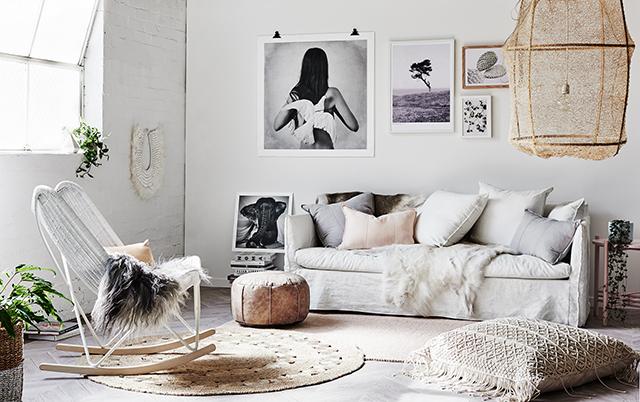 This larger store will compliment their existing Malvern East store by providing a space to showcase furniture, rugs and art within a styled insitu environment. It sounds so fabulous, I think I'll have to head back over to Melbourne just to check it out! Adding another dimension to the campaign, this time around Nat and Kristy decided to film the shoot day. To see what goes on behind-the-scenes, check out the video below! And finally in celebration of this exciting launch, norsu are very kindly offering a 15% discount on the new and exclusive Under Water series of art prints by Silke Bonde. 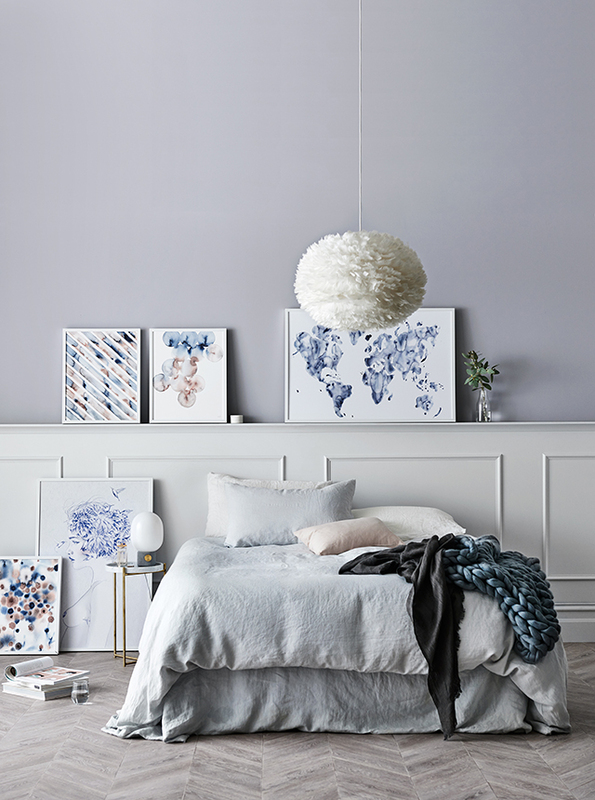 Recently featured on the blog these three beautiful prints are showcased in the last of the campaign images above, alongside the gorgeous limited edition Blue World art print, also by Silke Bonde. 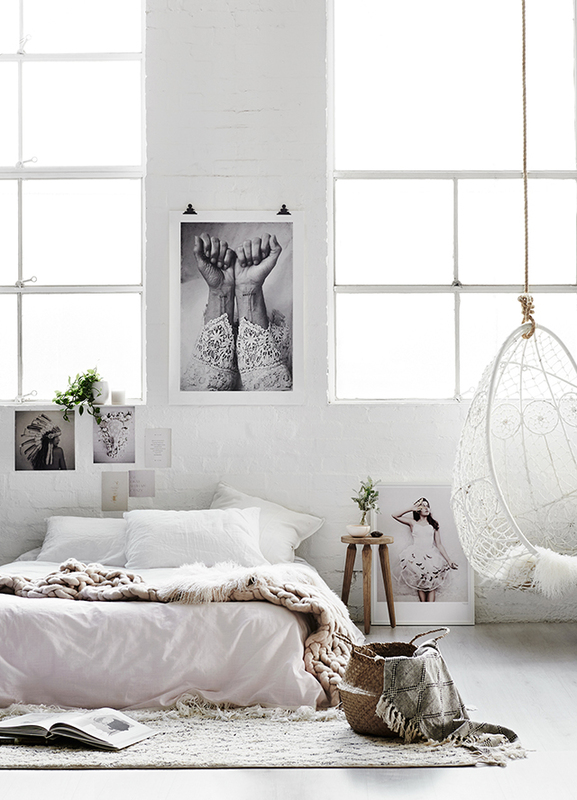 Such a serene bedroom, this is definitely one space I would love to replicate at home! what a beautiful interior! I want to change everything in my place now! Beautiful styling. Yes, that's my new phrase which I say too much, haha! 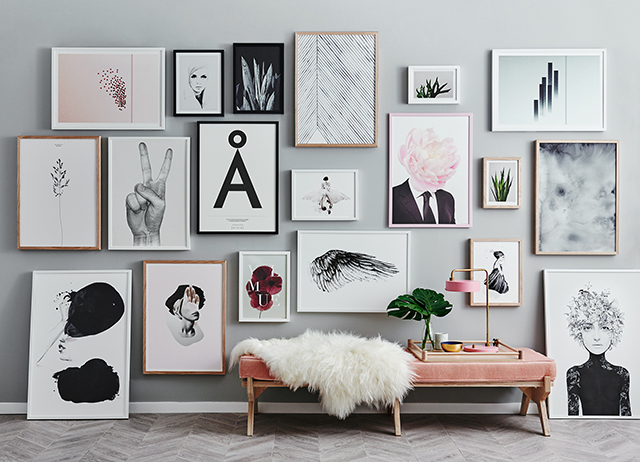 "Scandi Style". Redoing my whole apartment in greys, blacks, white just little pops of color, and lots of natural pieces.